Last fall, Troy Scheid flew to San Francisco to attend a performance of David Henry Hwang’s play Chinglish at the Berkeley Repertory Theatre. Scheid was in the midst of directing her own production of the play for Houston’s Black Lab Theatre, and the San Franciscans wanted to know how she planned to find enough bilingual actors in Houston for the play. (Only about half of Chinglish is performed in English; the other half is Mandarin, with projected English subtitles). In Chinglish, a Midwestern businessman travels to China to secure a contract for his family’s sign-making business. While navigating a landmine of cultural differences, he falls in love with one of his hosts, which threatens to blow up entire deal. 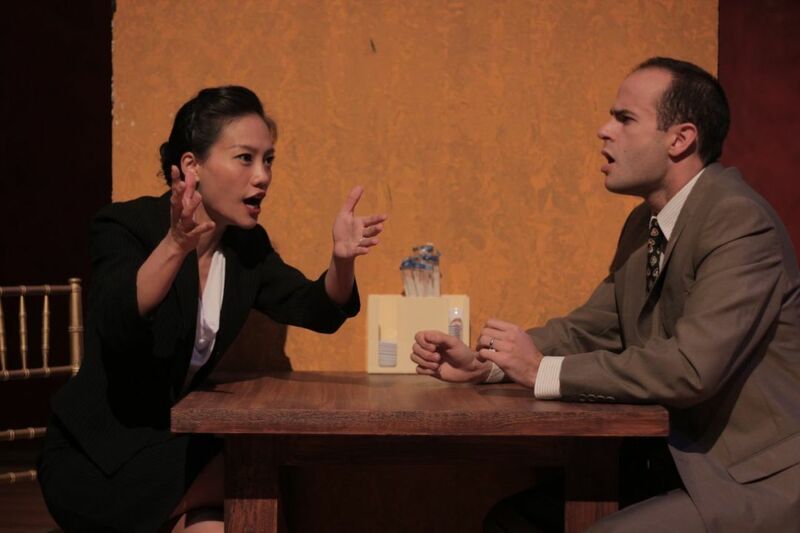 The play, which received rave reviews and enjoyed a two-year run on Broadway, is the first extended-run theatrical production to be mounted in the new Asia Society Texas Center. According to Black Lab Theatre, performances have been packed. “We have had some of the most diverse audience groups that I have ever seen at the theater in Houston,” Scheid said.